In one of his most famous passages, Paul declares that "we have this treasure in earthen vessels, that the excellency [or exceeding greatness] of the power may be of God, and not of us." In another letter he speaks of "the exceeding greatness of His power to us-ward who believe, according to the working of his mighty power which he wrought in Christ, when he raised him from the dead and set him at his own right hand ... far above all principality and power, and might, and dominion, and every name that is named, not only in this world, but also in that which is to come; and hath put all things under his feet." As we come to the end in the initial period in the history of Christianity we would do well to ask just what effect the Christian Gospel was having. By the year 500, as we have seen, the overwhelming majority of the population of the Roman Empire were calling themselves Christians and the faith had begun to be carried beyond the borders of that realm. It was but a small proportion of the earth's surface, which had been touched by Christianity. Only here and there had the peoples of primitive cultures who thinly occupied most of the world been reached, and of civilized mankind less than half had even so much as heard the name of Christ. Most of the Persians and the Indians and all the Chinese were as yet ignorant of it. Long before the end of the fifth century the Roman Empire had been showing signs of internal weakness and the invasions had begun which were to hasten its disintegration and, as they became more pronounced, were to usher in for Christianity an agonizing period of decline. What was Christianity doing to the peoples who had accepted it and to their culture? Was the "exceeding greatness of His power" to be seen, and if so how? Had it been true of Christ that God had "put all things under his feet"? Had "the earthen vessels" to which "the treasure," "the light of the glorious Gospel of Christ," been entrusted so hampered it that it had been nullified or at least weakened, or had the fact that "the treasure" was in "earthen vessels" made more vivid, as Paul had declared, that there was in the Gospel a unique power, something so in contrast with human nature that it was obviously not man's creation, but from outside man, so demonstrably from Christ that it was clear that the Catholic Church was right in affirming that Jesus Christ, while fully man, was also God incarnate, the Word become flesh? Would the power prove so potent that it would survive the centuries of adversity and break out with renewed vigour, or would it be dissipated through the corruption of the earthen vessels? It was not merely a question of striking changes, but of what kind of changes. Sweeping changes there had been before in the Mediterranean world and in other cultures, as in the wake of Alexander the Great and of Gautama Buddha, and changes there were to be again. Fully as important was the quality of the changes. How far were these to reflect the kind of life which was disclosed in Christ? Were men being transformed into likeness to Christ? An even deeper question, one at which we cannot more than hint in this place, was that raised by Paul's confident affirmation that God had "foreordained" "them that love God ... to be conformed to the image of His Son." Was this true? Was Christ, as the author of The Epistle to the Hebrews declared, "the brightness of His (God's) glory, and the express image of His (God's) person"? In the changes which were taking place was the Creator of the universe at work, fulfilling His purpose for man, and could this purpose be seen in the kind of individuals and the characteristics of the communities which were emerging? These questions are not of antiquarian interest. It was in these five centuries that Christianity first moved out into the world. It was then that it created a literature and developed organizational features, intellectual statements of belief, and forms of worship which for the majority of those bearing the Christian name have remained standard to this day. The experience of these initial centuries should shed important, perhaps decisive light upon the questions which we raised at the close of our fourth chapter, just before we embarked upon this period, about the place of the Gospel in human history, the query as to whether in it is to be found the clue to the enigma which the universe presents to man and which man presents to himself. They should be of assistance in determining whether, to use another affirmation of Paul, "God was in Christ, reconciling the world unto himself," and, if so, just how that reconciliation has operated. 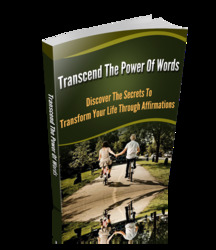 Finally, The Secrets Of Affirmations Unrevealed... Who Else Wants The Ultimate Guide To Affirmations And Witness Its Magic To Change Your Life Forever? 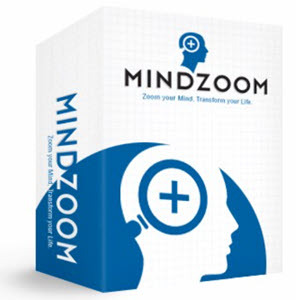 Discover How Ordinary People Can Live Extraordinary Lives Through Affirmations!